FLUX-GERÄTE’s horizontally installed, compact MINIFLUX container pump is now also approved for use in explosion hazard areas (Zone 1). With the latest generation of pump seals, eMG1 and eMG, EagleBurgmann has launched a further development of the million-fold proven MG1 on the market. Wilden recently announced the release of aluminum versions of its 420/430 Advanced™ FIT AODD pumps. 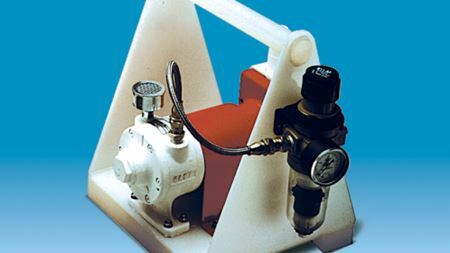 Milton Roy has upgraded its mROY series of metering pumps to meet the demands of critical chemical processing. ProMinent Group founder and chairman Prof Dr hc Viktor Dulger has died at the age of 80.